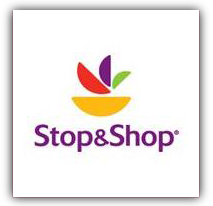 MyBlogSpark and General Mills have given me a $20 Stop and Shop gift card to contest away! Before you get excited and enter, make sure one of their stores is local to you. What is your favorite General Mills product? We wanted to share the following information with you regarding this promotion with Stop & Shop and purchasing your favorite General Mills items for a chance to win a 2010 eco-friendly Hybrid car. From April 16-29, buy 5 participating General Mills items with your Stop & Shop card, use a re-useable shopping bag and you’ll be automatically entered to win. There are two different sets of participating General Mills items for each week of the promotion. Please see below for the participating brands. You can also enter without making a purchase by completing an official entry form at your local Stop & Shop store. This promotion is open to residents of MA, RI, CT, NH, NJ, NY, MD, DE, VA or DC and individuals at least 18 years old. For details about the sweepstakes, see in-store for complete rules. Totino's Pizza Rolls 90 Ct. Contest ends next Monday, April 19th. Good luck everyone! Yoplait yogurt! i eat one everyday! Cheerios in all flavors is my favorite. I love Cinnamon Toast Crunch cereal! Thanks for the chance to win! I love Stop & Shop! Cheerios, Honey Nut Cheerios. I love Stop & Shop too. Thanks for this giveaway!